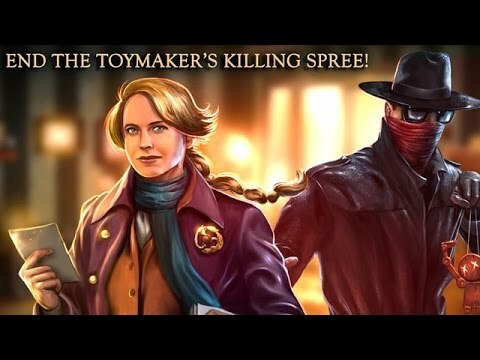 Unravel the twisted plot connecting the Toymaker with each of his victims. "I really like Deadly Puzzles: Toymaker. The hidden objects are visible, unlike some hidden object games that are nearly impossible. Story line is good. I recommend this game if you are looking for a relaxing hidden object game." When a quiet town is shaken by a series of murders, authorities are left running in circles trying to piece together the madman's devious games. Nicknamed the Toymaker by the local media, the only clue to his identity is a grim calling card – strange toys left with his victim's bodies. Just as any hope of catching the killer begins to dwindle, the lead investigator receives a package containing a disturbing video, sent by the Toymaker himself.